New Year is all about resolutions. When we say resolution, it is an act of determining to accomplish something within a length of time. I used to make resolutions myself before and without really paying attention of whether I made any of it or not. This time though there is one thing I have in mind that I should be doing this year and that is to keep up with my online responsibilities ...and mean it not as a resolution but an obligation . And so to help me make it work, I am considering some blogging challenges. I was actually invited by a blogging peer to participate on this Photographer's 52 Captures Challenge. So self portrait it is for week 1. 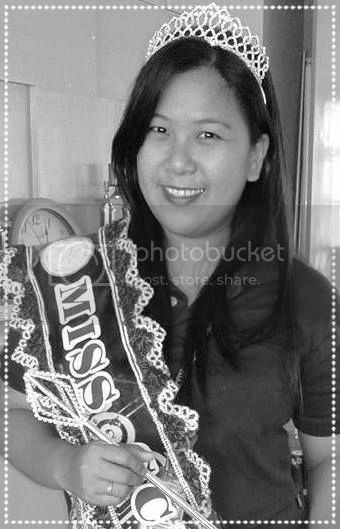 The photo was taken a year ago during the celebration of our local Science and Math Fair in school and I had the luxury to try on the Miss Science's sash and crown.